‘Harry Potter’ and ‘Game of Thrones’ may be two completely different franchises, but they have certainly used some of the same actors for many characters. While some of them like Professor Slughorn might be obvious, others are rather surprising. Let’s find out more about the people that have played roles in the best stories in the world. Naturally, the first person on the list is Broadbent, who played the hilarious Professor Slughorn and appeared for the first time in ‘Harry Potter and the Half-Blood Prince’. He replaced Severus Snape as the new potions teacher for Harry’s sixth year at Hogwarts. He made a surprising appearance on ‘Game of Thrones’ as Samwell Tarly’s mentor at the Citadel, where he went to learn how to be a maester. 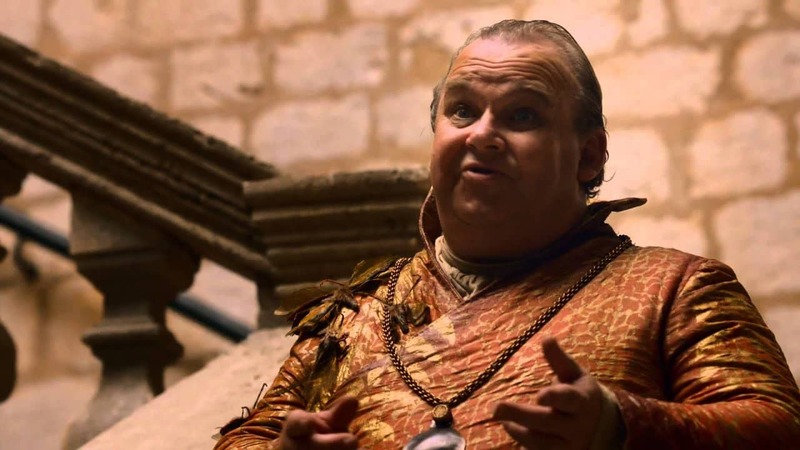 Broadbent played the role of Archmaester Ebrose, and it seemed like he did not take Sam seriously. Most people might not remember Fairley from her brief part in ‘Harry Potter and the Deathly Hallows Part 1’. She played Hermione’s mother and was seen when Hermione erased their memories of her right before leaving her home. However, everyone knows the actress better as Catelyn Stark, Ned’s wife and the mother of his kids. She was prominent in ‘Game of Thrones’ until the Red Wedding, when another ‘Harry Potter’ alumni planned her death. Tena played the fan-favorite characters of Nymphadora Tonks in ‘Harry Potter’, and appeared for the first time in ‘The Order of Phoenix’. Tonks was a metamorphmagus, in other words being able to change her looks. She also married dear Professor Lupin. 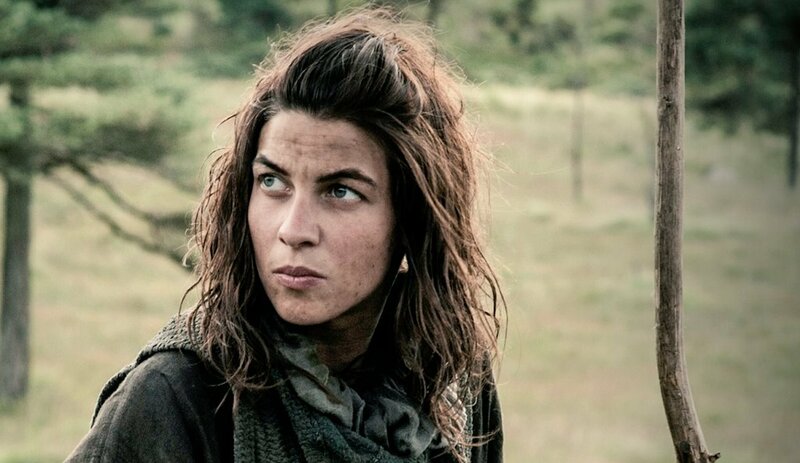 Fans might have been surprised to see her in ‘Game of Thrones’ as the wildling, Osha, who traveled south of the wall and became the protector of Bran and Rickon when they had to escape Winterfell. Unfortunately, she was killed by Ramsay Bolton. It seems that Bradley always lands the most hateful roles in television and cinema. 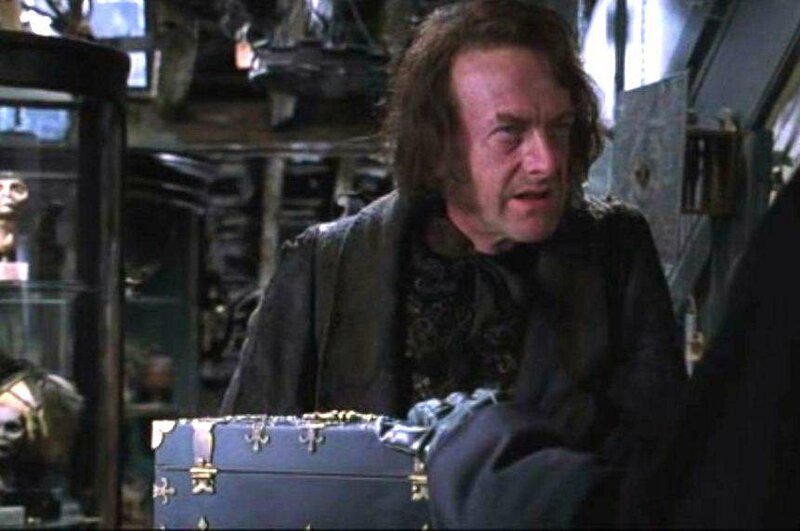 He was the annoying Argus Filch, who was basically a janitor at Hogwarts and the owner of a cat, Mrs. Norris. Filch never wanted anything good for the main characters. 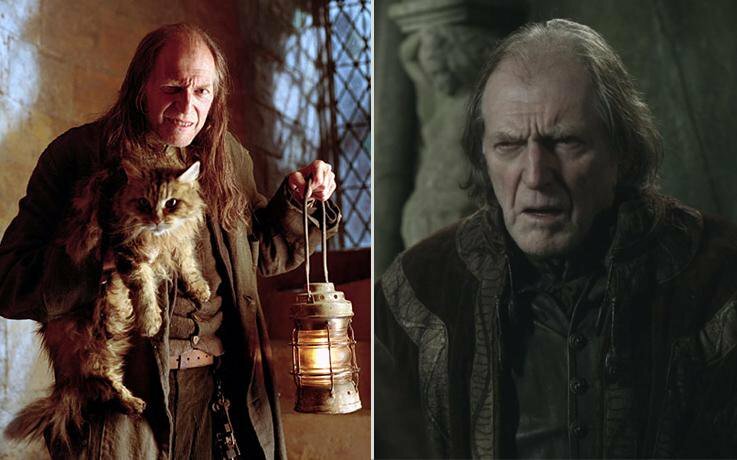 The actor played Walder Frey, the leader of House Frey who gets angry when Robb Stark did not marry one of his daughters. He aligned with the Lannisters and the Boltons to murder Robb, his pregnant wife, Catelyn, and their men during the Red Wedding. It was certainly one of the most intense scenes of the series. Hinds is not that remembered as he only appeared in ‘Harry Potter and the Deathly Hallows Part 2’ as Aberforth, Dumbledore’s brother. He helped Harry, Ron, and Hermione get back to Hogwarts. 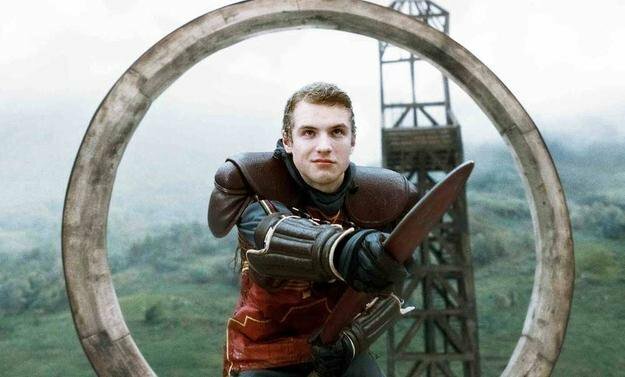 However, he also fought during the Battle of Hogwarts. 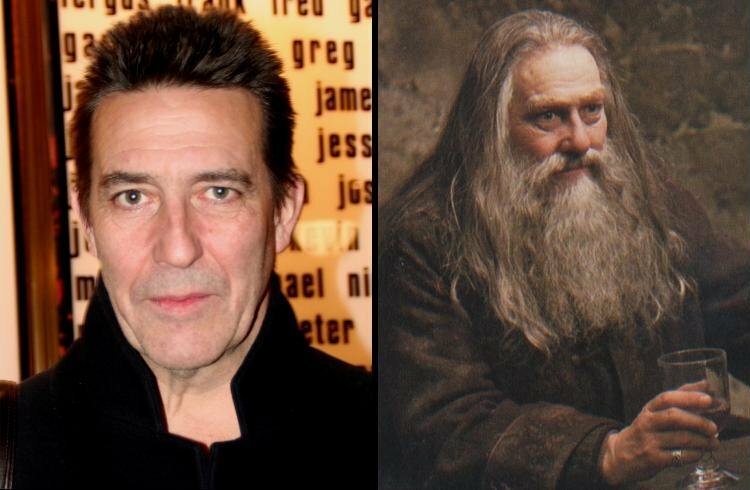 Of course, he might be better known as Mance Rayder, the King Beyond the Wall, in ‘Game of Thrones’. He believed in Jon Snow and taught him a thing or two about what real life is like. Sadly, he was later killed by Stannis Baratheon and his men. Stroma was the handsome blonde Cormac McLaggen from ‘Harry Potter and the Half-Blood Prince’, who wanted the spot of Keeper on the Gryffindor Quidditch team. He also wanted to get Hermione’s attention. He ended spitting up on Snape during Professor Slughorn’s Christmas party. He is less remembered in ‘Game of Thrones’, though. The actor played the role of Dickon Tarly, Sam’s brother, during season six, but he was replaced by another actor for the seventh. 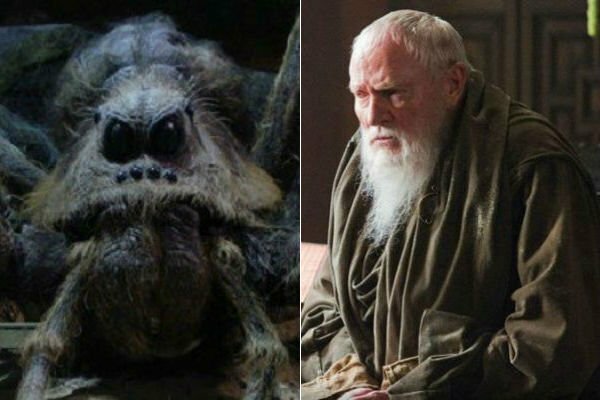 There is no way any fan could recognize this actor from the ‘Harry Potter’ franchise because he was the voice of Aragog, Hagrid’s giant spider. Some people suspect that Aragog might have traveled to England thanks to Newt Scamander. However, Glover can be seen in ‘Game of Thrones’ as Grand Maester Pycelle, who is the awful, scheming old man in King’s Landing. He betrayed whoever was convenient at the time. Honestly, he was awful, but Qyburn’s little birds got rid of him. This might be unexpected by ‘Harry Potter’ fans but Whyte played the full body scenes of Madame Olympe Maxime. Of course, her face belonged to the actress Frances de la Tour. But, Ian has often portrayed tall characters. 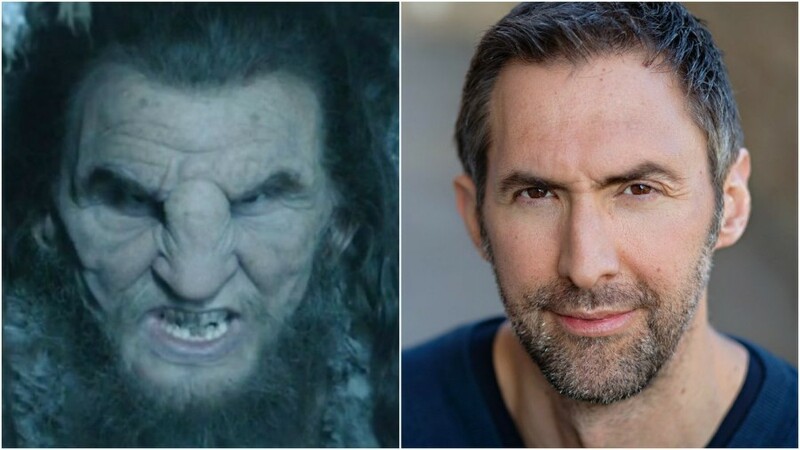 ‘Game of Thrones’ actually used him for several characters such as White Walker, the giant Wun Wun, and the Mountain during season two. Out of those, Wun Wun was definitely the best, and all fans hated to see him die after taking back Winterfell. Blane had a short scene in ‘Harry Potter and the Order of the Phoenix’ as Bob, a wizard that worked with Arthur Weasley at the Ministry of Magic. He was seen holding a box and rocking a long beard. His role on ‘Game of Thrones’ was not that memorable either. He was the Spice King, one of the Thirteen rulers of Qarth, where Khaleesi took her remaining people after a long stint roaming the desert. However, he was killed by another member of the Thirteen, Pyat Pree, who wanted to keep Dany’s dragon at the House of Undying. Webb appeared briefly in ‘Harry Potter and the Prisoner of Azkaban’ as another Slytherin student and friend of Draco Malfoy. In ‘Game of Thrones’, he played another small, but ultimately important role as a member of the Night’s Watch who left his post after seeing the White Walkers. He was the first to warn about them. Ineson might not be that recognizable because he mostly wearing masks during his appearances in three ‘Harry Potter’ movies. 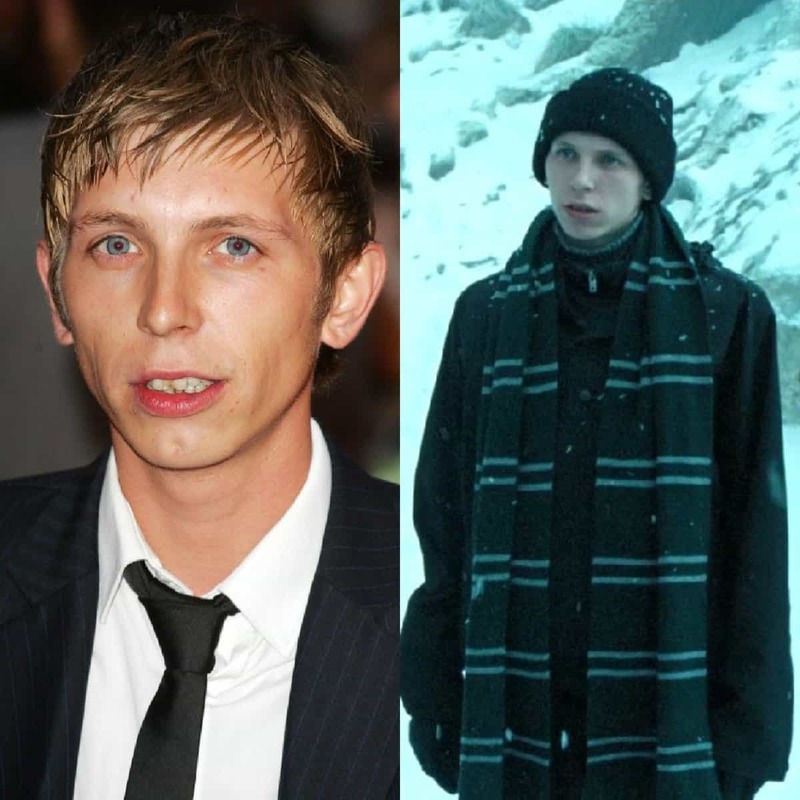 He played the role of Amycus Carrow, a Death Eater. He can barely be spotted next to Snape in the final film. In ‘Game of Thrones’, he was raider named Dagmer Cleftjaw of House Greyjoy who betrayed Theon, taking Winterfell for him and his men. He killed Maester Luwin. However, he was later skinned alive by Ramsay Snow. Tudor-Pole played another small role in ‘Harry Potter and the Chamber of Secrets’. He was Mr. Borgin, the owner of Borgin and Burke’s at Diagon Alley. Unfortunately, the scene did not even make it to the movie but was later revealed in the DVD. 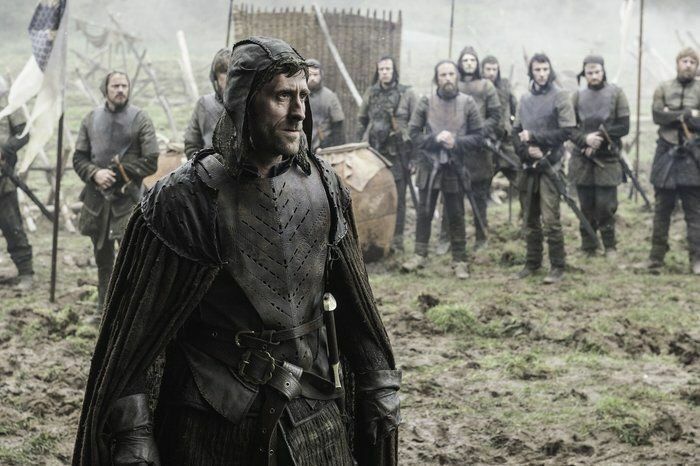 In ‘GoT’, he was a protester during season two. Mortemore played the role of Madame Irma Pince in ‘Harry Potter and the Chamber Secrets’, but she was only the librarian at Hogwarts and barely visible. The actress also had a small part in ‘Game of Thrones’ as a Braavosi woman for season six. Tuite had another small cameo in ‘Harry Potter and the Deathly Hallows Part 1’ as a skinny ministry wizard. It was literally a blink-and-you-miss-it moment. 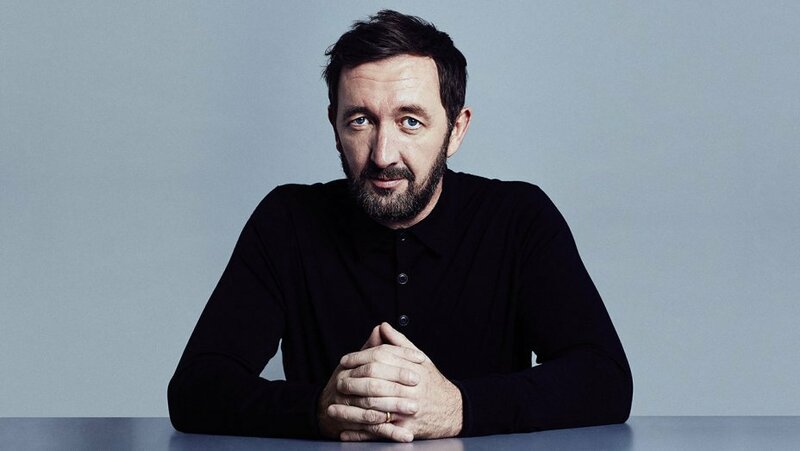 In ‘Game of Thrones’, he played the role of Lothar Frey in season six. Unfortunately, all the Freys are gone. Some actors were easy to spot but only crazy, eagle-eyed fans would have seen all 14 on this list. Let us know if you remembered most of them. If you liked this article, share it with your friends who are fans are both franchises. See you next time! Harry Potter's last movie has been released almost a decade ago, but fans are still wondering about it and there were things opened to interpretation. Here are the reasons why she did not kill this important character.